May 4th, 2014 (7:49 AM). Edited July 10th, 2018 by 1158. "The power of mega evolution... Will it change the future?" Neil/Tyra, a gifted scientist of Ivara Region, is trying to create a powerful Pokemon called Mewtwo. Neil/Tyra did it. However, this is not enough for Neil/Tyra. 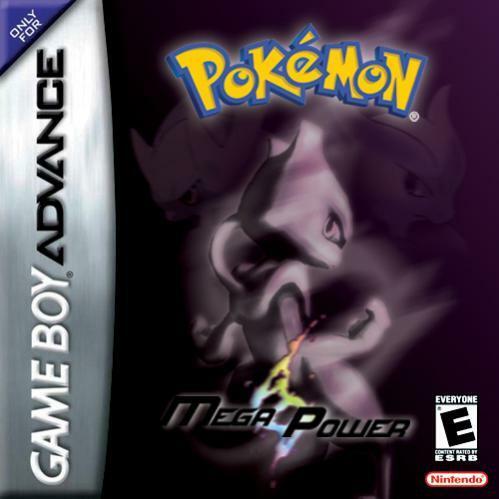 Because he/she want to make Mewtwo stronger. He/she want to turn it into a Pokemon which can mega evolve without ordinary mega stones, but unluckily, he/she has no money to keep it up. When he/she thinks that he/she has to give it up, a man called Kasper showed up. This man is a businessman, what's more, he is the leader of Team Delta, a mysterious organization of Ivara Region. He said that he can help Neil/Tyra to finish his/her experiment. Neil/Tyra has no choice, he/she joins Team Delta. However, he/she is still wondering, why did Kasper help him/her? Should he/she trust this man? Percy, who helped me to add the Repel System. Punkysaur, who fixed the beginning introductions. The following Pokemon are not obtianable in the main storyline, so I decided to make them obtainable in the Adventurers' Club. Enter the passwords, and you'll get them. This cover is made by Aron_90. I'm very appreciated for this. Some trainers doesn't know how to use items properly. P.S:This hack is 100% completed. I think most glitches are fixed now. May 4th, 2014 (8:53 AM). Woah, this is great, good luck ! May 4th, 2014 (9:09 AM). 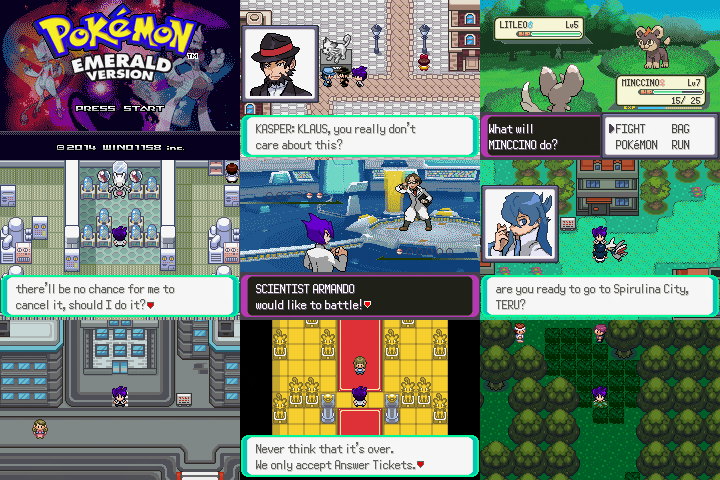 I need to find time to play all of these awesome rom hacks getting released lately! I'm still currently playing one of your other games. Great storyline dude! Current Live Update: Build 3.0 RC 2.73 No more Flag Errors! Always periodically make backup saves! May 4th, 2014 (9:18 AM). Sweet hack man. Story is great, battle backgrounds look sweet, tiles look good. Really love the city in row 3. So far my favorite city. Great features man. Getting now to play. Good luck with it. 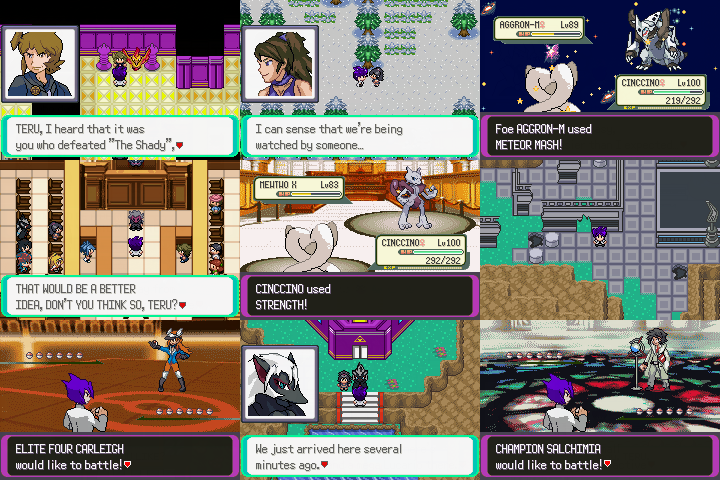 POKEMON REVENGE TEAM IS looking for members APPLY HERE so the hack can continue. May 4th, 2014 (9:19 AM). May 4th, 2014 (9:30 AM). WOW. I'm completely blown away by those battle backgrounds, they look utterly incredible! Nice to see a split-storyline as well, those are always great =) Good luck with this project! May 4th, 2014 (9:32 AM). May 4th, 2014 (9:38 AM). May 4th, 2014 (10:03 AM). I've started playing it and I noticed a bug. If you loose on the first road, you end up in the next city. Whatever, my first impressions of your hack were very good though, but I'm stuck. I talked to Kasper in the city, but now I do not know where to go. Can you tell me where I have to go? May 4th, 2014 (6:35 PM). Hopefully, no Random Bad EGG encounters anymore. I hate these. May 4th, 2014 (10:53 PM). May 4th, 2014 (11:49 PM). May 5th, 2014 (1:33 AM). 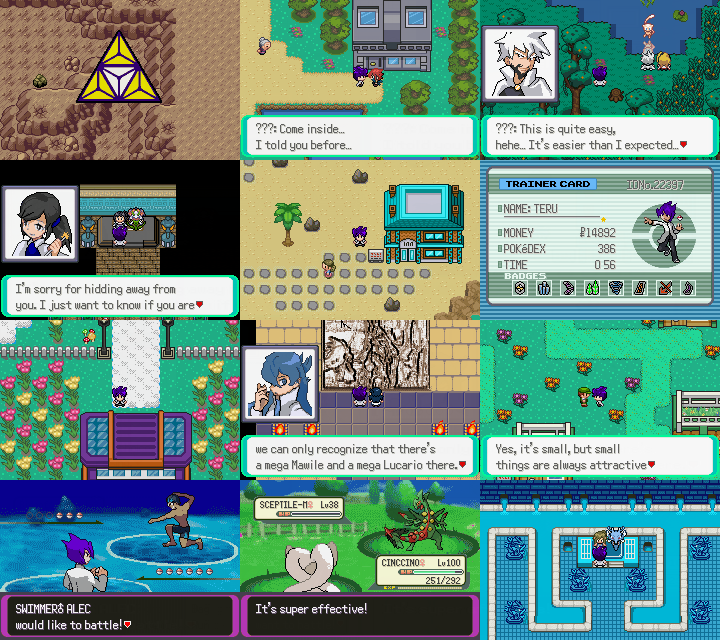 Pokemon - Black 'n White (Demake) - ~G0LD! May 5th, 2014 (2:27 AM). This looks great. I love everything but the pokemon sprites in battle they need some work. I suggest using Chaos Rush and Mr.Dollsteak's sprites because of how good they look, \and for the fact that they will make this look so much better. That being said; keep up the great work. I'm looking forward to seeing how this will end. May 5th, 2014 (2:51 AM). I'm sure I'll enjoy it! May 5th, 2014 (6:03 AM). yay another hack by 1158. i confirm play one lah!! May 5th, 2014 (3:35 PM). Edited May 5th, 2014 by Mr.Mako. I would like to point out that when I played it during the beginning bit when you and the aide talk to the intruder the aide (female in this case since i was playing male) wound up with a pallet error but in that room only because when i got back to the first room she was fine. I shall look to see if it happens when playing female as well. EDIT:It occurs with the male aide as well. May 5th, 2014 (5:34 PM). Ash, Brendon, Bazzz, IC, Chari. May 5th, 2014 (11:07 PM). May 6th, 2014 (4:33 AM). May 7th, 2014 (4:20 AM). May 7th, 2014 (4:35 AM). Wow, love your titlescreen! How'd you do it? :P The battle background, sooooo awesome. I like it ;) Hope this have a few bugs though (or none at least) :) Good luck! May 7th, 2014 (6:15 AM). Is there any way to put in hack some new poke abilities or at lest change or modify there effect? That would be cool if you could do that. May 7th, 2014 (6:43 AM). May 8th, 2014 (3:34 AM). Good one dude , the storyline is really original , the tiles and the battle backgrounds look awesome too . Good luck !!! All times are GMT -8. The time now is 2:39 PM.